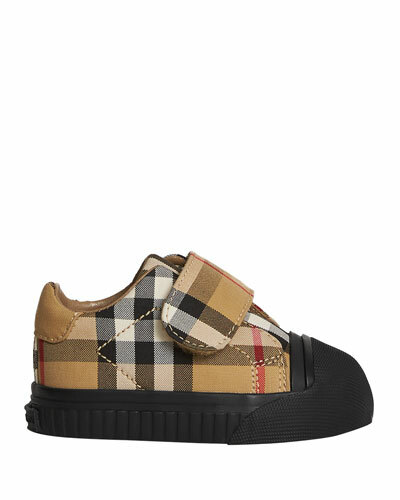 Looking for the perfect pair of shoes for your boy? 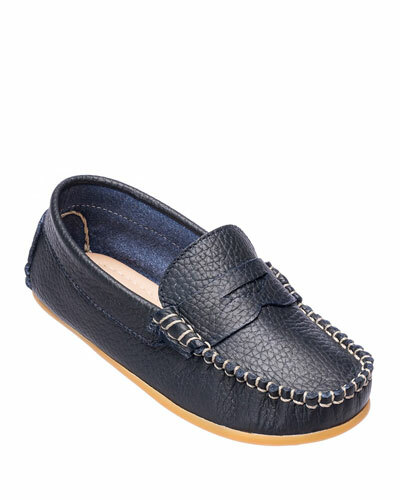 Explore Neiman Marcus’ great selection of boys’ shoes available in a variety of design and colors. From newborns and preschoolers to school-age kids, our collection caters to boys of every age. We offer footwear in cool designs crafted by the best fashion brands of the world. Our boys’ sandals with comfortable soles are great for an evening stroll. The waterproof shoes in our collection are lightweight and durable, making them perfect beach companions. 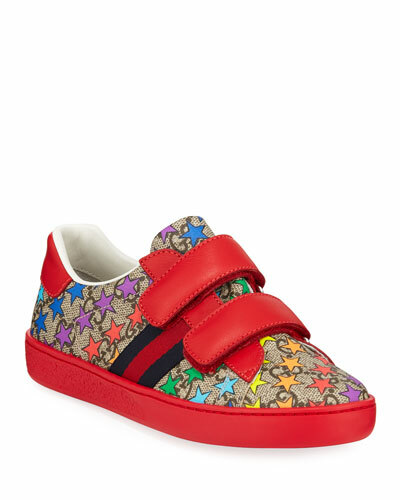 Your little prince will run about in absolute comfort wearing our tennis shoes and boys’ sneakers. 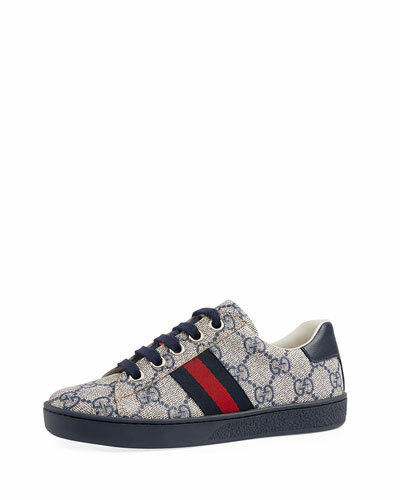 For formal occasions, dress your boy up in our fashionable, high-top sneakers. Keep tender, little feet protected in our cute baby booties. 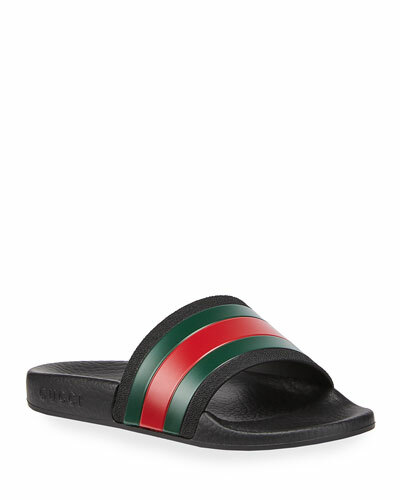 Shop Neiman Marcus for the latest styles in designer shoes for boys. 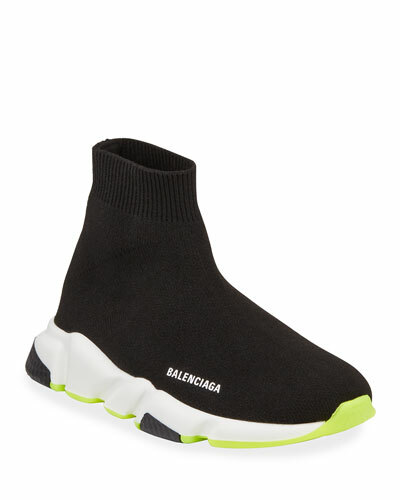 Balenciaga knit sneaker with metallic leather and nylon trim. 0.4" flat heel with platform. Square toe. 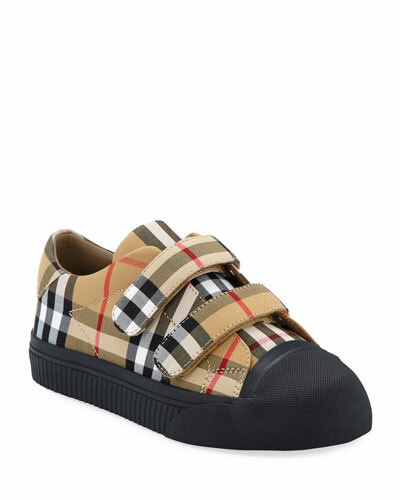 Grosgrain strap over vamp. Balenciaga knit sneaker with metallic leather and nylon trim. 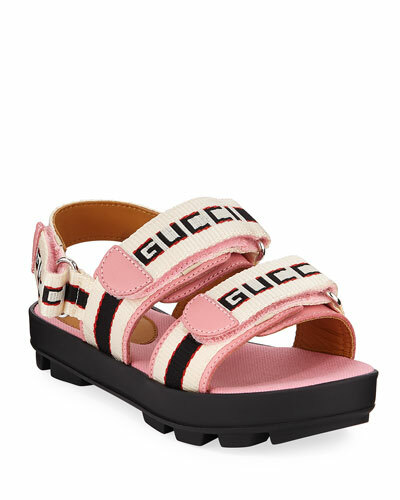 0.4" flat heel with platform. Square toe. Grosgrain strap over vamp. Lace-up vamp. Pull-tab at tongue. Stretch-sock insole. Logo at backstay. Rubber outsole. Made in Italy.